Monday – regular new weekly podcasts will be uploaded on these days by 10:00am EST – these are short stories clips with sometimes releasing a bonus promo of a full length story for the week for all listeners, but it will be rare and a bonus. Most of these stories release to the public will be short clips of the actual full story. Patrons will get the full access all the time. During off regular season, the summer months from June to August this podcast will be bi-weekly Mondays with the same schedule time of publication along with shorter episodes airing recorded time for the lead up to return back to regular season in the fall of of that year. This Podcast is apart of Nichel Anderson Premium Content, in which, as a Patron from Ms. Anderson venture. 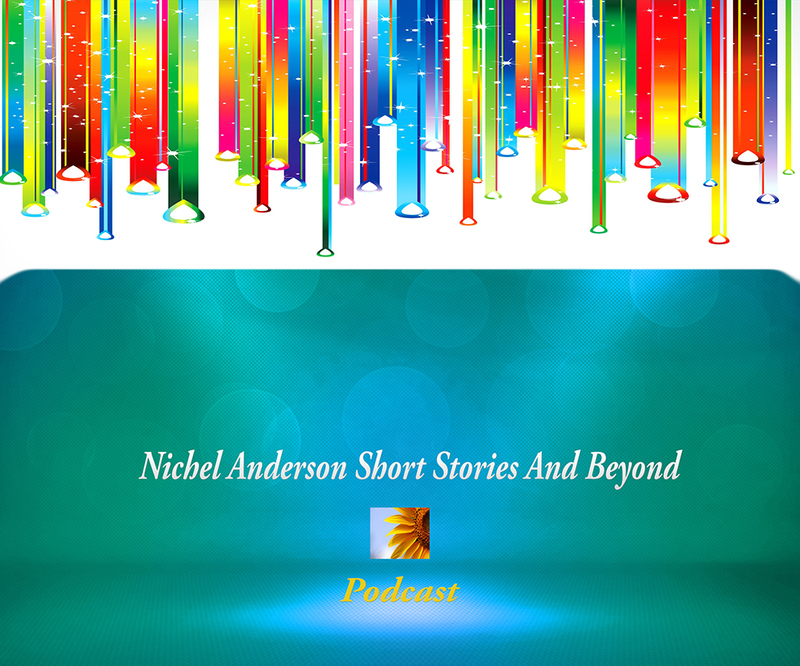 If you want to be a patron of this podcast by Nichel Anderson you sign-up here: www.Patreon.com/NichelAnderson Patreon Membership is FREE and you can cancel anytime Once as a patron at sign-up page on www.Patreon.com/NichelAnderson listeners that are patrons get full access to that week’s short story plus additional awards, such as, bonus short stories not published on the public podcast RSS feed and a chance to record a scene with Nichel as one of her characters in a short story. May 2019 — Season 2 2018-2019 ends – Finale Month! “For the Love of MOLIAE Returns Back” For the Month of May – Clip Snippets and a Finale Full Short – for the last month of Season 2 Before the Summer Break of 2019 for Season 2, this is the Month of MOLIAE as new things are revealed and explained from the previous year of episodes. It will go fast, so tune in for details on the episodes featuring which new character progress forward or backward into the unknown and beyond within the MOLIAE Universe. Get in the Know of MOLIAE! April 29, 2019 “General Tekun Speaks Truth – Episode 48 Season 2 2018-2019 General Tekun speaks truth” on his remembrance and discovery of his capture from the previous major war against Mitsrayim. Tekun position rank encouraged Nontu by learning of Tekun from Oten in Episode 8 that position Nontu in a new rule within the Sudan. As Nontu, the High Rank Orion Military non-Offiical Appointed by Orion Unken Council, deals with the impeding attack from Lanko forces stand trail in Orion. April 22, 2019 “Director Clip Notes for Episodes 37 – 38 – Season 2 2018-2019 With host, Nichel Anderson focusing on previous episode 37 “ Sisters of the Sudan” and episode 38 “King Mahlon rise to Akun Royal” on the core take aways in each episode Director notes to share. Insight on certain scenes for clarity and reasoning to why, who, and what to look forward to in the future regarding the characters. The Director Clip Notes of Nichel Anderson assists in getting a better understanding to the universe of MOLIAE and sneak peak news. April 15, 2019 “Of the day of Ezri Influence – Season 2 2018-2019 Ezri, the High Herbalist Scientist of Mitsrayim and Royal Family, we learn of his connection to the ancient teachings of School of Theos of Mitsrayim Elite. He is the father of Nahor the future son that will be one of Princess Aamina closes friend and their storyline. Ezri is asked to assist in a matter brewing in the midst still after the last war to intercede for influence in uncovering a recent incident in the Palace. April 8, 2019 “Character Profile : Hanee of Orion – Season 2 2018-2019 Character Profiles For the first two weeks during Month of April – The new characters that will move on to stage and/or future productions Hanee is of the High Rank Order Those of UkenO, where we discover his role in the MOLIAE Universe podcast timeline started in Season 2 – before the time of Princess Aamina and during the reign of her father King Mahlon with many adversaries in the region beyond. We learn of strategic connections of Hanee and his superior rank of the Secret Councils of Old In the realm that features much more power than Ecko role on Tiamat.